Restore Your Smile’s Function and Appearance Simultaneously! In the past, cavities were filled with a silver-colored material known as amalgam. Not only did this filling material create a grey sheen that appeared in patients’ smiles, it actually worked against them in the long-term as it began to split the tooth apart further. Instead of settling for an inferior solution to restore teeth, it’s worth looking at tooth-colored fillings and what they have to offer. 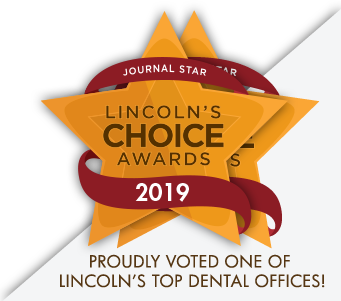 The dentists at Williamsburg Dental can restore your tooth’s structure, appearance and your confidence to eat the foods you want without worry. Here’s how! 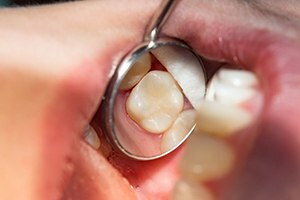 What Material Do Tooth-Colored Fillings Use? Silver fillings make up a combination of different metals, including tin, copper, mercury, gold and other alloys. In stark contrast, tooth-colored fillings use composite resin, a material that combines glass and plastic compounds to form a putty-like substance. 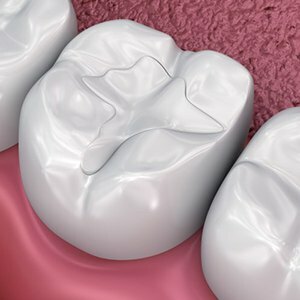 Because composite resin is more malleable, dentists can create a more effective seal in the damaged portion of the tooth while reducing the removal of natural tooth structure. Buffing teeth down to accommodate a dental filling is typical for silver fillings, however this is typically not the case when using tooth-colored alternatives. One of the biggest drawbacks of amalgam is its response to hot and cold stimuli. When metal is exposed to extreme temperatures, it begins to expand and then contract back into its original state after the stimuli is removed. This regular expansion causes the filling to act as a wedge inside the tooth and only breaks it apart more quickly. It is often why dentists are willing to replace it with a tooth-colored alternative. Composite resin does not respond to stimuli in this way, making it ideal for use as a filling material. Additionally, composite resin can be shaded to blend in exactly with your existing tooth, reducing the risk of it appearing in your smile. It doesn’t reflect light in the same way as silver either, making it ideal for filling visible cavities. 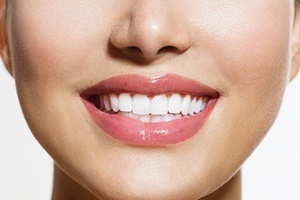 Placing a filling typically only takes one appointment to complete. After examining your tooth, the dentist will clean the tooth of any decay or debris, then apply a mild etchant material directly to the tooth. This makes the surface more porous, allowing the resin to bond more effectively to the tooth. After placing and molding the filling inside your cavity, the dentist will bond the material to your tooth instantly via a curing light. Once hardened, they can make any mild adjustments to the filling as needed. With proper care, your restoration should last at least 10 years before needing to be replaced! 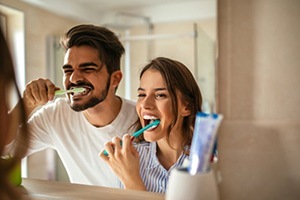 To ensure your restoration gets as much mileage as possible, it’s important that you practice daily oral care, schedule checkups and cleanings once every six months at our office, and avoid using your teeth to perform tasks that are really suited for a tool. Do not chew on inedible or extremely hard objects as this can prematurely wear down your restoration as well as damage your natural enamel. (402) 464-1719 1719 N Cotner Blvd. (402) 488-9022 2746 South St.